Luxury Homes - Chad Fisher. 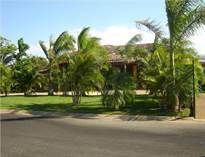 The following properties are Luxury Homes along Guanacaste's Gold Coast which includes Tamarindo, Langosta, Flamingo, etc. 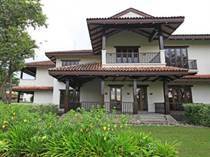 For a more comprehensive list of Luxury Homes all over Costa Rica including Coco, Hermosa, Jaco, Manuel Antonio and more, click on the "More Listings" button at the bottom of this page. "Great location Golf Resort residence"
"Adjacent to Green Park reserve of Las Brisas, Hacienda Pinilla"
"Fantastic Ocean View 6 Bed !!!!!" "Awesome Coastal Estate! Multi Unit Resid"
"Minutes to Beach / Best Modern Gold Coast Luxury Home"
"Exquisite Modern Home, Great Details"
"You have the opportunity to add your final touch and taste"
"Stunning and the views will fascinate you any time of the day or night"
"San Juanillo and Ostional area"
"Best Priced Grande Titled Beachfront!" "Luxurious house in the Tropical Paradise"
"The Perfect House for a Perfect Place"
"Now you can own a piece of this paradise. 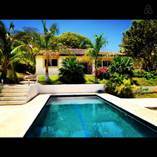 Ideally located steps from the ocean on Playa Flamingo." 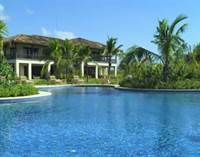 "VILLA ON THE WHITE SANDS OF PLAYA FLAMINGO"
For more Luxury Home listings all over Costa Rica including Coco, Hermosa, Jaco, Manuel Antonio and more, CLICK ABOVE on "MORE LISTINGS".